Another variety that we bring to our prestigious patrons is Hopper Heating Pad. Made from the finest grade raw material and advanced production techniques, our Hopper Heating Pads feature long service life and optimum quality. We are reckoned as prominent Manufacturer, Exporter & Supplier of Hopper Heating Pads in the global market. Apart from this, we keep all the requisite amenities to address safe and swift deliveries. 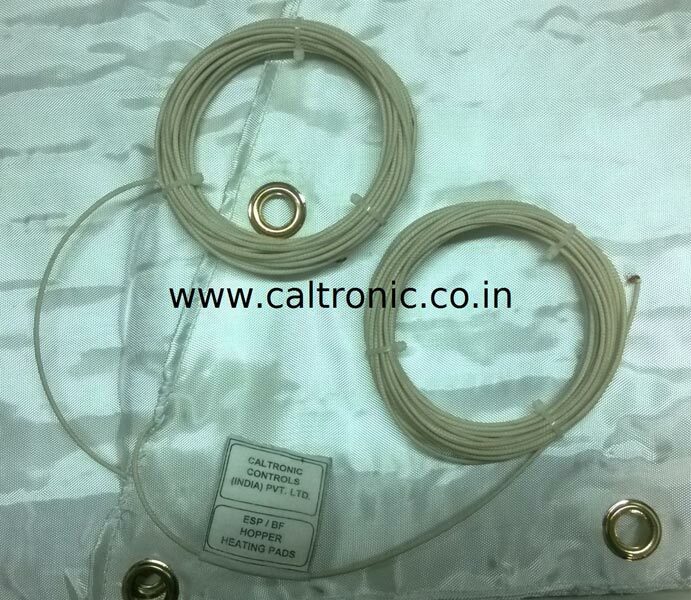 This electrical heating pad consists of wire heating elements insulated with two braids of glass-fibre yarn and impregnated with Class-H varnish. The element is spread over closely woven glass cloth carrier at a uniform pitch and sandwiched between two layers of glass-fibre cloth. Eyelets are provided for riveting/fixing these pads onto the hopper. These pads are suitable for both ESP & Bag Filter application. Thermostat is offered separately.